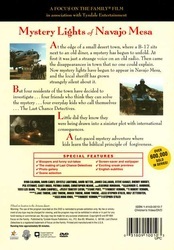 At the edge of a small desert town, where a B-17 sits next to an old diner, a mystery has begun to unfold. At first it was just a strange voice on an old radio. Then came the disappearances in town that no one could explain. Now mystery lights have begun to appear in Navajo Mesa, and the local sheriff has grown strangely silent about it. 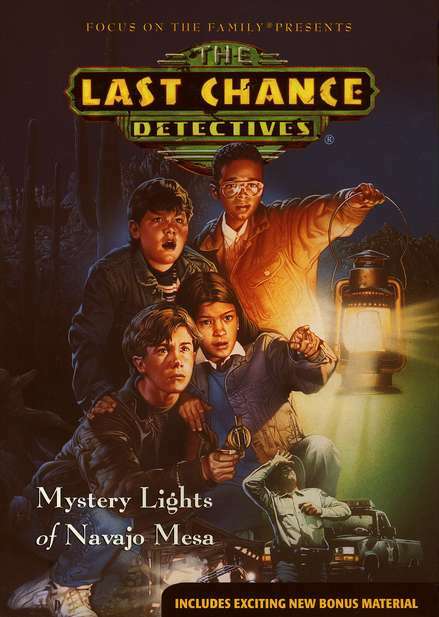 But four residents of the town have decided to investigate ... four friends who think they can solve the mystery ... four everyday kids who call themselves ... 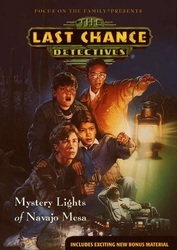 The Last Chance Detectives. Little did they know they were being drawn into a sinister plot with international consequences.